We Have Not Seen Any International Cricket Being Played in Pakistan in last two years and its reason is Terrorist attack on Sri Lankan team in Lahore two years ago and present Security Conditions of Pakistan. Pakistani Team is playing its Home series in Foreign Countries because no team is ready to visit Pakistan due to its Security Conditions. At This Difficult Time There is a Good News For Pakistani Cricket That Zimbabwe is offering to send its National Team to Play In Pakistan. 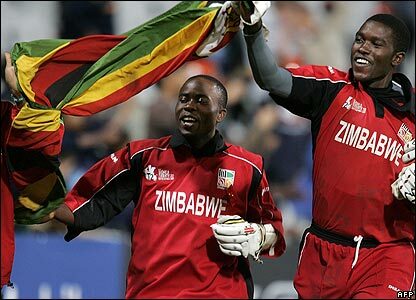 Chairman of Zimbabwe Cricket Board has said that that Pakistan has always supported Zimbabwe Cricket and now its time for us to help the Pakistan in this difficult time. He also said that the money that will be collected by Pakistan and Zimbabwe Series will be given to Pakistani Flood Victims. Now Lets see what future updates comes on this Pakistan and Zimbabwe Series?